One of the perks of living a frugal lifestyle is that it’s also a greener lifestyle. For example, when you bike to work instead of driving, you buy less gas and also produce less air pollution. Likewise, when you buy and eat less meat, you lower your grocery bill and also save fuel, water, and other resources. And, by getting more exercise and eating more veggies, you can improve your own health at the same time. In fact, just about any step you can take to save money will also help you live green. Most products available for purchase in stores require energy and natural resources to produce – so in general, the less you buy, the fewer resources you use. And because producing goods in factories also produces greenhouse gases, shopping less reduces your carbon footprint as well. Certain people, known as freegans, have taken this idea to its logical extreme. In order to tread as lightly on the Earth as possible, these people have given up all purchases. Freegans live entirely outside the economic system, buying nothing and selling nothing. Instead, they get what they need by a combination of borrowing, sharing, and scavenging. Modern freegans are the descendants of the Diggers, an anarchist counter-cultural group in 1960s San Francisco. This group had a vision of a society without money, where all goods and labor were freely given. They held free concerts, gave away free food, organized free temporary housing for the homeless, and set up “free stores” that gave away secondhand goods. The term “freegan” itself first appeared in the mid-1990s. It’s a combination of “free” and “vegan” (a person who eats no animal products). This term was originally used to refer to people who only use animal products if they would otherwise be thrown away. However, for the freegans of today, this lifestyle is about a lot more than the way they eat. It’s an entire way of life that challenges what they see as the evils of modern society: greed, waste, meaningless work, and a lack of concern for others. Since they never buy anything, freegans obviously spend a lot less than other Americans. However, for most freegans, the money they save is just a side benefit, not their main goal. Animal Welfare. Like many vegetarians and vegans, freegans believe that factory farms are cruel to animals. These giant farms raise huge numbers of animals in crowded, dirty conditions. They also engage in painful practices like clipping the beaks of hens and docking the tails of piglets. However, many freegans’ concerns about farming aren’t limited to the way animals are raised. They also worry about how traditional farms harm wildlife through pesticide use and habitat destruction. For these reasons, many freegans reject all farm products and prefer to live on food that’s either foraged or grown in small-scale gardens. Human Rights. Freegans are also concerned about how farms – and other businesses – harm human beings. They argue that just about everything sold in stores is produced in a way that hurts someone, including farm workers poisoned by pesticides, laborers toiling in third-world sweatshops, and victims of wars fought over oil. They believe even ethically made products, such as Fair Trade goods, still help to support a destructive system of stores and fleets of vehicles. The best solution, as they see it, is to skip shopping as much as possible. Protecting the Environment. One of the things that bothers freegans most about mass-produced goods is the way they damage the environment. They point to examples such as industrial pollution, waste of materials, and the heavy use of petroleum at all stages of the process, from manufacturing, to shipping, to waste disposal. The less an individual shops, they argue, the less damage he or she does to the environment. A Simpler Lifestyle. Finally, freegans reject the idea that life must be an endless cycle of working and spending. Just like followers of voluntary simplicity, they choose to buy less so that they can afford to work less. This gives them more free time for family, community, social activism, and fun. Many freegans see living off scavenged goods as a more natural way of life, like that of our hunter-gatherer ancestors. Freegans use a wide variety of strategies to get things for free so they don’t need to shop. Experienced freegans know how to find food, clothing, shelter, transportation, and entertainment without spending a penny. Freegans who live in rural areas are often homesteaders who live completely self-sufficient lives. They grow all their own food, make their own clothes, raise livestock, use natural remedies, and heat with wood or other alternative fuels. In this way, they can stay entirely apart from modern society. However, most freegans are city dwellers, so they have to use different strategies: They salvage and reuse items that would otherwise go to waste; they share with others who have extra space in their homes and cars; and they sometimes engage in bartering, trading their goods or skills with others, rather than spending cash. Freegans are appalled at the amount of waste the economy produces. To avoid contributing to it, they choose to reuse items as much as possible. Whenever possible, they repair broken items instead of replacing them, and they recycle containers and turn food waste into compost. When freegans find themselves with items they don’t need, they never throw them away – instead, they find ways to give them away. Freegans are regulars at free stores and Really Really Free Markets, where people can drop off their unwanted goods and pick up items they can use. They also rely on these markets to do their “shopping” when they need something they don’t have. Wikipedia lists numerous cities in the U.S. and Canada that host Really Really Free Markets on a regular basis. Freegans exchange goods with others online as well. They make extensive use of Freecycle, a network of local groups where people can give away items they don’t need to others who can use them, and they also use the “free” section of Craigslist. 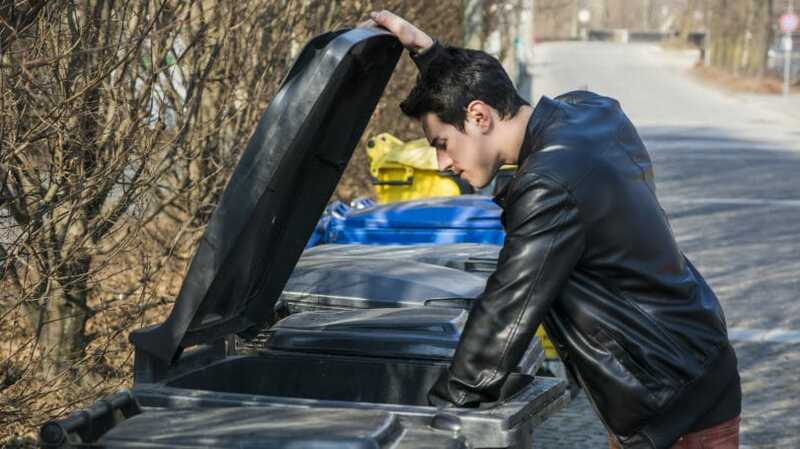 Another way freegans try to eliminate waste is by salvaging trash that others have discarded – a practice known as “urban foraging.” Many people regard this phrase as a euphemism for “Dumpster diving,” but there are milder forms of urban foraging as well. For example, freegans gather scrap materials from construction sites and go on “curb crawls,” picking up usable items discarded on the curb prior to collection. According to Freegan.Info, it’s possible to find “just about anything you can buy in a store” by hunting for it in the trash. 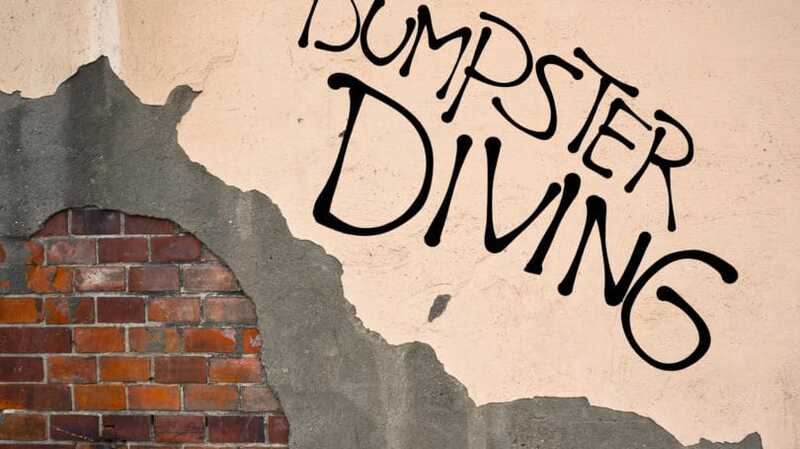 Dumpster dives commonly turn up clothing, food, books, videos and DVDs, lumber, toys, and tools – all in perfectly good condition. Even large items, such as furniture, appliances, computers, and bicycles, can be found in the trash. In particular, freegans rely on urban foraging for most of the food they eat. Instead of grocery shopping, they go on “trash tours” of Dumpsters located behind large supermarkets. According to freegans, it’s a myth that only spoiled food goes in the trash. Perfectly edible food is often discarded because stores can’t sell it. Sometimes a store has too much of an item, or sometimes canned goods pass their “sell by” date but are still safe to eat. Also, many fruits and vegetables don’t sell because they don’t look as pretty as U.S. customers expect. Freegan spokeswoman Madeline Nelson says in an MSNBC interview that she has found fully wrapped packages of arugula and portobello mushrooms, slightly dented cans, and “bread in abundance” in supermarket bins. Nelson’s finds are exemplary of the huge amount of food waste in modern society. According to the U.S. Department of Agriculture, up to 40% of all the food produced in the U.S. goes uneaten. Rescuing this wasted food is one of the major motives behind the freegan lifestyle. Along with their urban foraging, freegans often forage for wild food such as greens, fruit, and nuts. 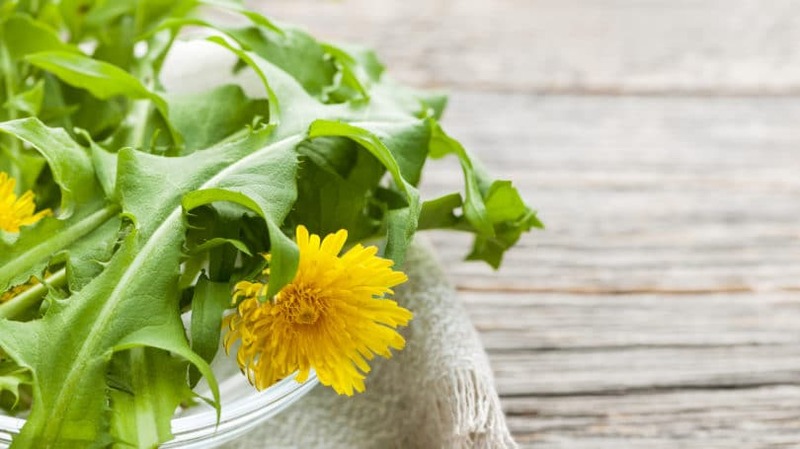 Even in cities, it’s possible to find plants that are useful for food or medicine, such as dandelions. Falling Fruit offers an interactive map that shows foragers where to find edible plants in their home towns. In addition to foraging for food, some freegans grow their own. Rural freegans often have land of their own, but even urban freegans can grow vegetables in community gardens. These shared plots of land provide a space for city dwellers to produce food while enjoying fresh air, exercise, and the company of their neighbors. Some freegans use foraged food to produce compost for their garden plots. In the absence of available community garden plots, enterprising urban freegans may take over vacant lots to plant food and flowers. This practice is called “guerrilla gardening” because, like guerrilla warfare, it often relies on stealth. Many guerrilla gardeners sneak into empty lots in the dead of night to plant and tend to crops. However, other guerrilla gardeners make no secret of the activity, marching boldly into abandoned sites to openly dig and sow seeds. This type of guerrilla gardening is a form of activism, calling attention to the problems of ugly, neglected, and under-utilized plots of city land. Most freegans don’t own cars because of the pollution they create – both from their tailpipes and during their production. They also object to the destruction caused by oil drilling and the wars that are often fought over oil. And because buses and trains generally rely on fossil fuels to run, many freegans won’t use those either. Foot Power. Freegans walk, skate, and ride bicycles wherever they can. 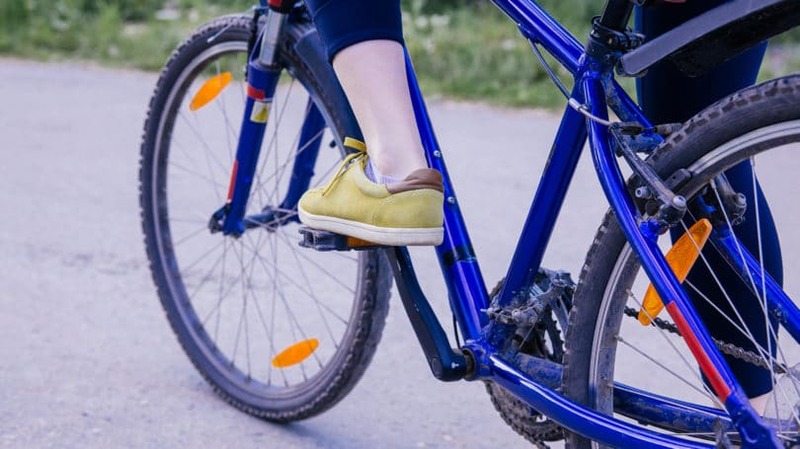 By traveling under their own power, they get healthy exercise while also avoiding pollution. Many freegans belong to bikesharing programs and community bike collectives, which allow many people to get around with just a few bicycles. These groups also work to fix up discarded and broken bicycles and teach members how to do bike repairs. Sharing Rides. Although freegans don’t often own cars, sharing rides with others can be an option. This is considered to be acceptable because they’re just taking up space that would otherwise go unused, and therefore do not add to the number of cars on the road or the amount of gas used. Some freegans hitchhike, while others belong to carpools or use real-time ride sharing sites. Unlike commercial ride sharing programs such as Uber and Lyft, which are more like taxi services, real-time ride sharing is simply a way to match up passengers who need rides and drivers who want company. 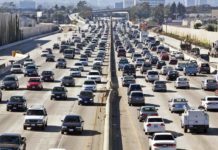 Sites such as SpaceShare and the “ride share” section on Craigslist help drivers and passengers find each other. Train Hopping. For longer trips, some freegans hop freight trains by sneaking into rail yards, waiting for the trains to slow or stop, and jumping on to find an empty spot in a car to hide out. However, this form of transport is very dangerous. In addition to the danger from the trains themselves, there’s a risk of being caught and arrested or being attacked by one of the other riders. Freegans who can’t get by without cars prefer to drive cars that run on biofuels rather than gasoline. Cars with diesel engines can be converted to run on plant-based biodiesel or even plain vegetable oil. Since restaurants often have leftover frying oil that would normally be discarded, some freegan drivers can power their cars without buying any fuel. Unlike food and clothing, a home isn’t something you can just pull out of a trash bin. However, most freegans see abandoned buildings as just another form of waste that should be put to good use. For them, squatting – moving into unused buildings – is a protest against owners who let buildings sit empty in areas where housing is badly needed. However, squatting is a risky practice. Many empty buildings aren’t properly maintained, so people who live in them are in danger of stepping through the floorboards or being shocked by faulty wiring – not to mention being evicted by police. Other freegans work in exchange for housing. Jobs that often come with a free place to stay include farm work, apartment management, and childcare, as well as being a companion or housekeeper for an elderly person. Freegans can also find temporary housing through house-sitting gigs or travel networks such as Couchsurfing and Servas. These sites match travelers looking for a place to stay with hosts willing to share their homes. For some people, it’s possible to hop from one home stay to another throughout the year instead of having a permanent home. Just as they refuse to spend their money on goods and services, many freegans also refuse to spend their time on paid work. As they see it, having a job of any kind contributes to all the damage companies do to the world. Refusing to work for money is part of their protest against the economic system and its injustices. However, this doesn’t mean freegans never work. For some freegans, it’s too hard to meet some needs, such as healthcare, without a salary. However, because they consume so little, they can get by with a very small one. This means they can spend fewer hours at work and more on other things they care about. Other freegans don’t work for money, but they do barter their skills for things they need. Some even take part in a whole separate economy outside the dollar economy, known as “time banking.” Under this system, you donate an hour of your work to earn an hour of work from someone else in return. Finally, many freegans volunteer time and work to important causes: They manage free stores, run bike collectives, and distribute food to the hungry. They also join activist groups to protest against the companies that they refuse to support. The one aspect of the freegan lifestyle that gets the most attention – and not all of it positive – is urban foraging. To many people, digging through other people’s trash seems dirty, disgusting, and unsafe. However, freegans contend that it’s possible to forage safely as long as you know what you’re doing, and argue that most food is discarded because stores can’t make money on it, not because it’s unfit for consumption. Much food is discarded in sealed packages, so contamination from the trash container isn’t a risk. Freegans often forage together in groups so that more experienced divers can teach others about what’s safe to use and what isn’t. Freegans interviewed for the ABC story explain that in the summertime, they check the temperature of all the perishable food they find, such as fruit, yogurt, and packaged salads. If the food isn’t cold, they don’t take it. Many freegans also make a point of wearing gloves while Dumpster diving and cleaning up carefully afterward. According to Freegan.Info, urban foraging is legal in most parts of the U.S. It can’t be considered stealing, because something that has been thrown away is no longer private property. However, certain cities have passed laws against the practice. To protect themselves, freegans need to be aware of the laws in their area. It is also important to avoid Dumpsters situated on private property – if a trash container is next to a building or behind a fence, approaching it could be considered trespassing, an arrestable offense. And if a Dumpster is locked, breaking into it could be considered criminal vandalism. Other freegan practices, such as squatting, are illegal in most U.S. cities. However, police often do not evict squatters unless the owner of the building issues a complaint. In some cases, squatters can claim that they’re legally tenants of a building because they’re paying the landlord for its use by maintaining it. It’s even possible in rare cases for squatters to become the legal owners of a building they’ve lived in for several years. Some freegans break laws openly, and even proudly. The 1999 pamphlet “Why Freegan?” openly encourages freegans to shoplift, steal from employers, and return trash-picked goods to the store for cash. The author calls this a “direct attack” on the capitalist system. However, many freegans don’t support these practices and argue that shoplifting is really just another form of consumption. 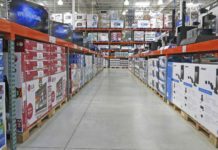 When goods are stolen from a store, replacement products must be ordered – therefore, stealing supports mass production and waste, rather than fighting it. Some people don’t just object to specific freegan practices, such as squatting or scavenging, but consider the whole freegan way of life to be unethical. According to this view, freegans are “parasites” – freeloaders who live by taking, not by making. The argument goes that if everyone lived the way freegans do, nobody would produce goods of any kind. There would be no food waste – but there would also be no food. Therefore, the freegan lifestyle actually depends on the wasteful capitalist system it claims to reject. Freegans respond by pointing out that urban foraging isn’t the only thing they do. They also gather wild food, plant gardens, and share skills such as sewing and bike repair. In these ways, they work directly to help themselves and others, rather than living off other people’s work. Speaking for myself, I know I wouldn’t want to live the way freegans do. I certainly sympathize with the goals of reducing waste and protecting the environment, but I would not want to go to such extremes. Instead, I prefer to have a job that I like and spend my money at businesses I support, rather than try to do without money entirely. In the long run, I believe that I can do more good this way. By being a part of the system, I can influence it in ways the freegans cannot. But even if I wouldn’t want to live as a freegan, I still think there is much our society can learn from freeganism. 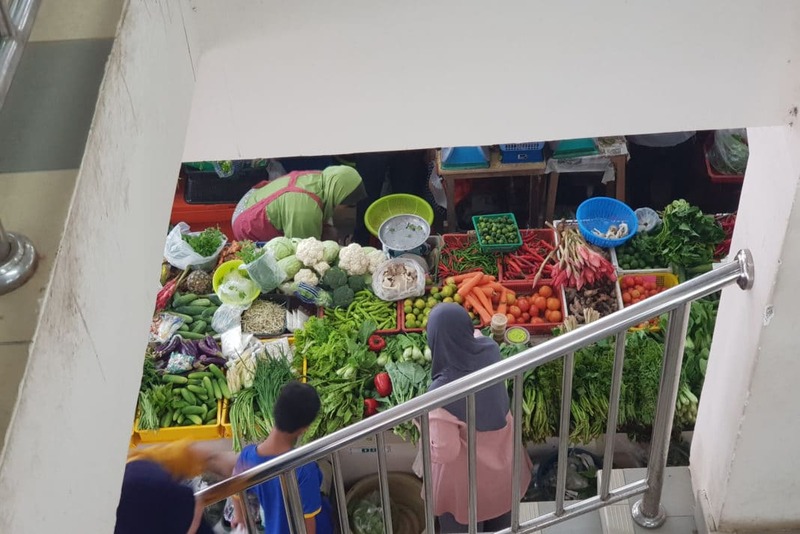 Dumpster diving calls attention to the amount of food waste in this country and encourages us to make the most of leftover food at home, while guerrilla gardening beautifies neighborhoods and inspires others to start home gardens. And by showing how it’s possible to live with little or no income, freegans set an example for others who want to work less and enjoy life more. What’s your view of the freegan lifestyle? Do you think it’s helpful or harmful?